This year promises to be full of new adventures for my family. One of the things that constantly amazes me since becoming a mom is how much my kids can grow and change over the course of a year. As I sit here scheduling preschool tours (how is that possible? weren't they just born?) I realize that my twins are going to face one of the biggest adventures of their young lives this year - heading off to preschool in the Fall. With this in mind, my goal over the next few months is to be sure they are given lots of opportunities to embrace new adventures, and we have a new furry friend to inspire us. Norm of the North is a new animated kid's movie from Lionsgate coming to theaters on January 15. Norm is a big hearted, talkative polar bear from the Arctic who heads to New York City to help save his home from developers. With his funny and helpful friends at his side, he takes on the city, big business, and his own insecurity to try to save the day. The movie's theme of stepping out of your comfort zone and embracing adventures really resonates with me as we begin a new year that promises to be full of change. I've stayed home with my now 3 year old twin boys all of their lives, and I've been by their side for every new venture - baby time at the gym, making new friends at the library, our super cool nature class - but when they start preschool I won't be with them every step of the way. Trust me, I know this is more upsetting to me than it is to them, but I want to be sure that they are ready for this new independence. As a parent, it can be equally hard and exhilarating to watch your kids try new things. It's hard because you want to swoop in and make everything easy, but you know that letting them take the plunge and do things on their own - even if they are apprehensive at first - is the only way for them to truly grow. But then you get the wonderful experience of watching them succeed and there is no better feeling in the world. And if they stumble, you're there to help encourage them to try again. 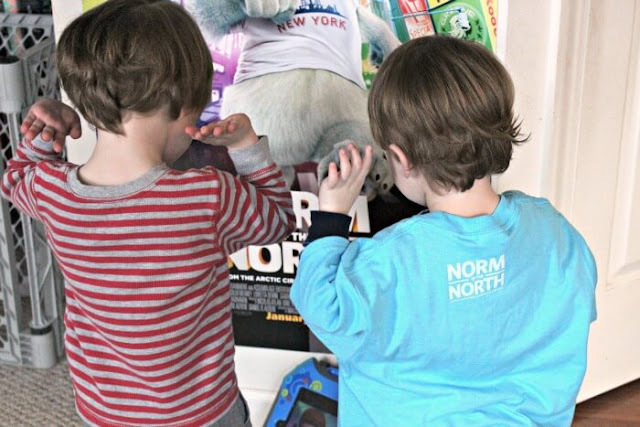 I am planning a lot of fun new things for us to try over the next few months as we prepare for the big world of preschool, and our first stop will be to see (and be inspired by) Norm of the North. Heading to the theater is still a new adventure for us, so I want to make sure the boys are excited about the movie. 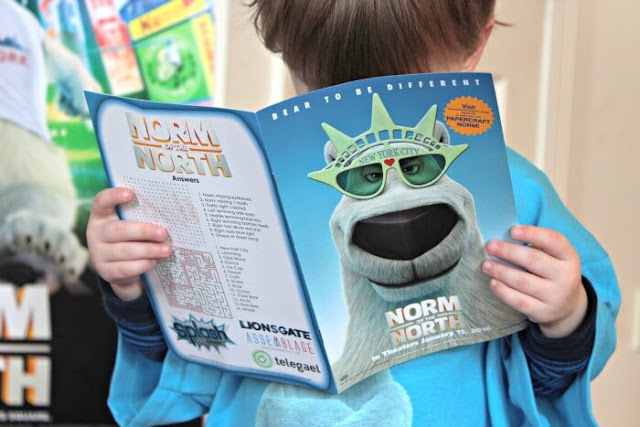 We got an awesome package of Norm of the North goodies from Lionsgate to help them get ready. We started out with this super cute Norm of the North T shirt. 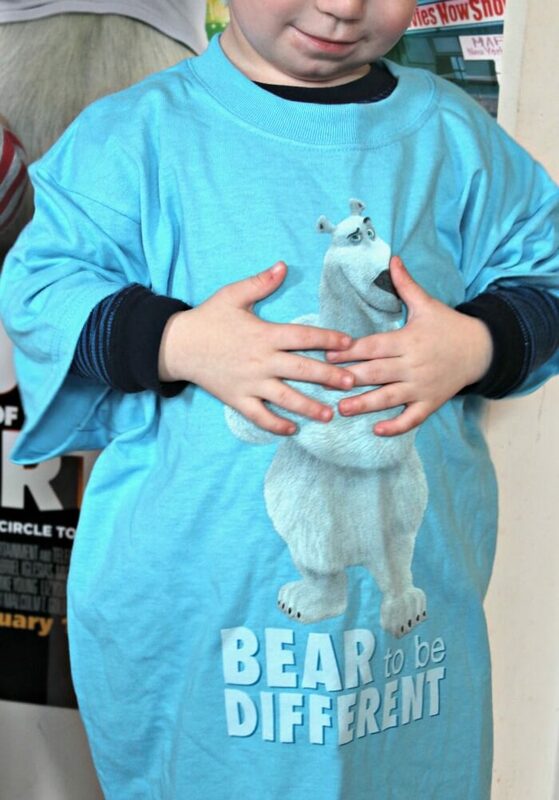 I love the message - "Bear to be Different." I hope my boys are always willing to embrace what makes them different and is special about themselves and those around them. Next we checked out a fun Norm of the North activity book, filled with puzzles and games about Norm and his friends. The boys love anything with animals and polar bears are special favorites, so they were really starting to get excited about Norm. 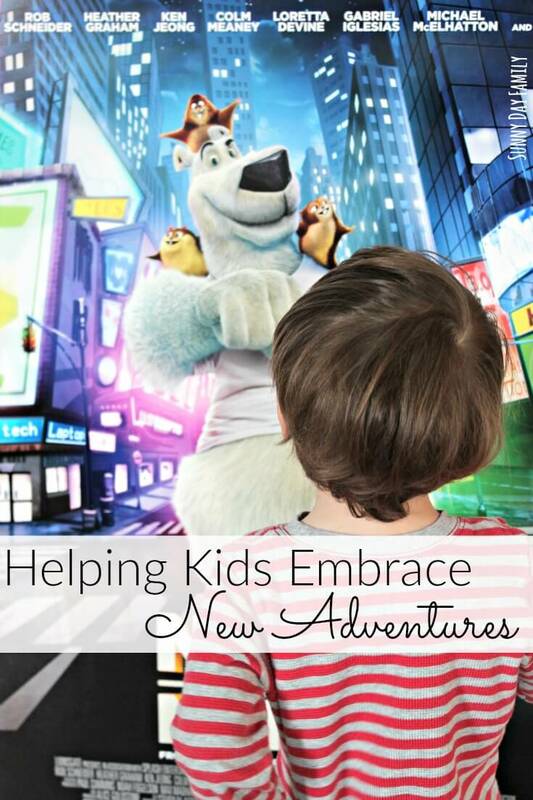 We're so excited to seet Norm of the North and be inspired to embrace our own new adventures this year. I'd love for your family to check it out too! Enter below to win one of five $100 Fandango gift cards to purchase tickets to see Norm of the North in theaters. 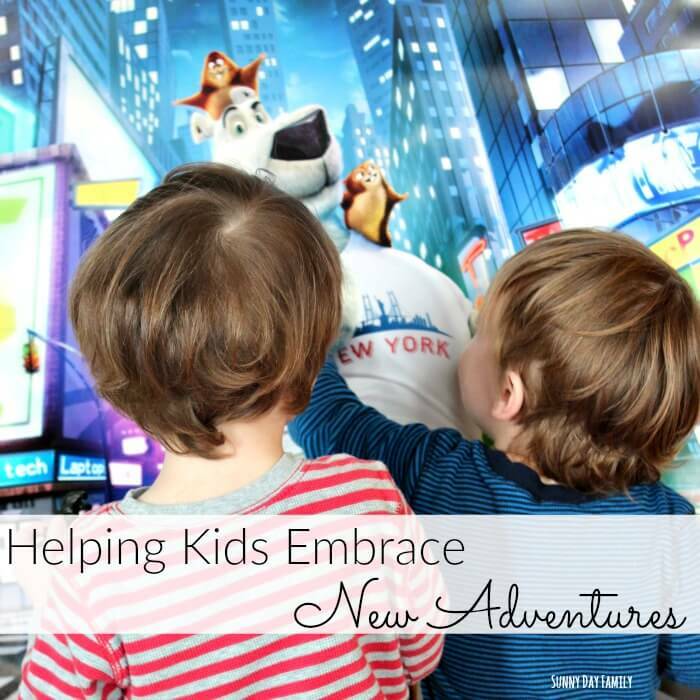 How do you help your kids embrace new adventures? I'd love to hear your ideas! Leave a comment below or message me on Facebook and let me know.